Low-lying clouds above a grassy berm appear to be sailing by, carried by an evening wind. 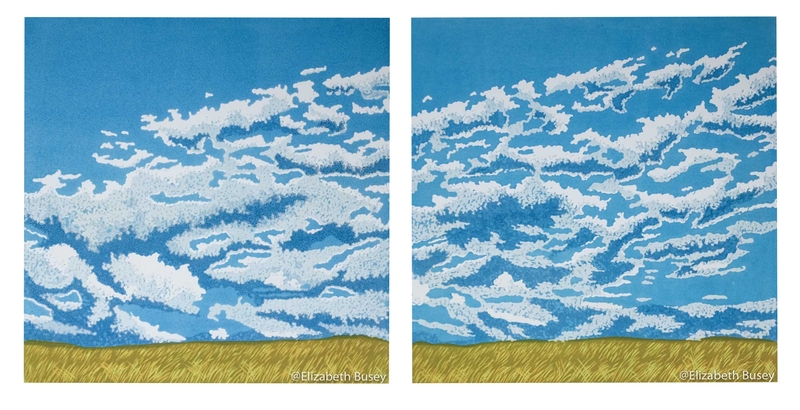 I use repetition and the diptych format to try to capture the wind’s movement. Read more about this work here.